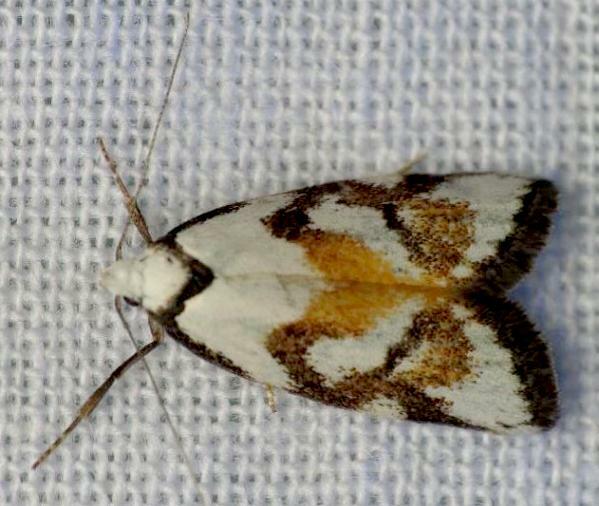 The forewings of the adult moth of this species have complex brown, white and yellow patterns on each forewing. The hindwings are plain brown, fading to off-white at the bases. The wingspan is about 2 cms. CSIRO Publishing, Melbourne 1994, pp. 16, 94, 97-100. Series 2, Volume 3, Part 4 (1889), p. 1620, No. 1.